Matt Dearmond is a litigator whose practice focuses on general commercial litigation, insurance defense, and intellectual property. Prior to joining Middleton Reutlinger, Matt worked as an associate in the Louisville office of a regional law firm practicing in the area of insurance defense and general litigation, where he gained significant experience defending a variety of clients in cases involving automobile accidents, personal injury, UIM/UM claims, and premises liability . During law school, Matt worked as a summer associate for a regional law firm with a focus in the areas of commercial litigation and white collar crime. 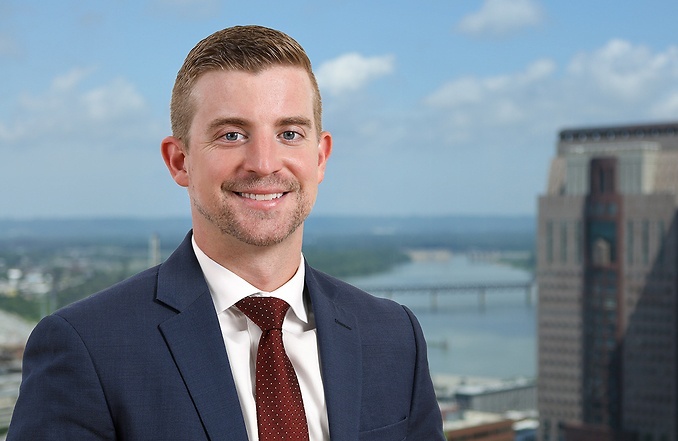 In his spare time, Matt enjoys travelling, cheering on the Kentucky Wildcats and St. Louis Cardinals, and experiencing all of the sights and sounds the city of Louisville has to offer.